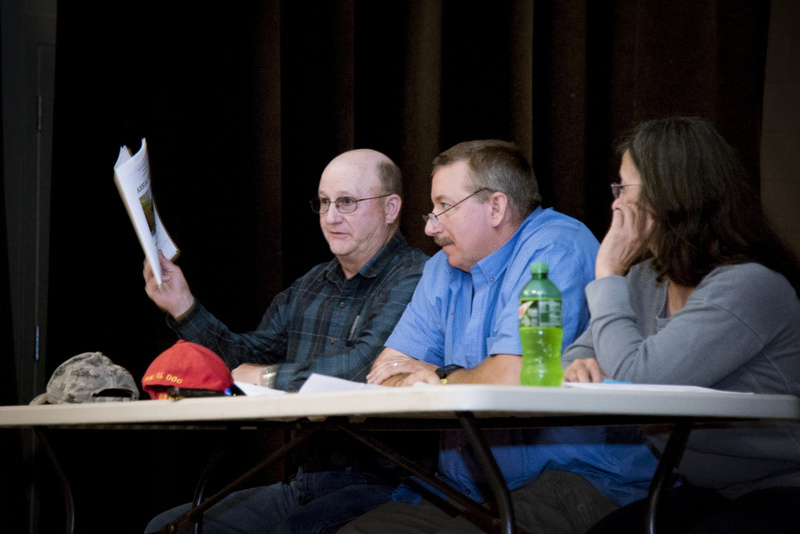 At June's Town Meeting, residents approved spending up to $1 million to build a new fire station, and the select board has been working for months to find a suitable location. Farmingdale Selectman Wayne Kilgore said he thinks he’s found a suitable location for a new fire station, but he isn’t ready to say it’s a done deal. Farmingdale voters approved spending up to $1 million during June’s Town Meeting for a new station after voting in favor of the town spending $300,000 for purchasing a new firetruck. Kilgore said he’s checked out at least three or four properties trying to find a piece of property that fits what Farmingdale is looking for. Kilgore said the town’s current fire station on Maine Avenue has bays that are so small the department must have new trucks custom-made, at additional cost, because standard modern firetrucks don’t fit into it. The building is so close to the road that firefighters have to step out into the street to stop traffic so other firefighters can back trucks into the station, and it is in the flood plain and thus potentially couldn’t be used during a flood. During the Town Meeting, some residents said they didn’t like approving funding the new station without even knowing where the station will be built. Kilgore said it’s a long process, and unlike Augusta or Hallowell or bigger-than-Farmingdale municipalities, there’s not a large number of people working on this project. “There’s a lot of work to put this together, and it’s just the three of us (on the select board),” he said. He said once negotiations for the property are complete, the town will begin the planning and design stage of the process before construction would begin. The town is at least two years away from having a new fire station, Kilgore said. The town warrant estimated the total cost of the fire station, including interest, would be $1,605,900. Farmingdale officials were hoping to offset some of the yearly cost using an annual fee from Hallowell as part of a lease agreement at the new station, but Hallowell decided to keep its Fire Department and started construction on its own station, using more than a $1 million from an anonymous donor. Kilgore said Hallowell’s decision to build its own station didn’t impact his process, which he said was ongoing independently from what Hallowell was doing. “I said regardless of what Hallowell was going to do, I was going to figure out how to build a fire station for (our crew) no matter what,” he said. In Hallowell, after a 13-month process by the Fire Services Committee and the City Council, councilors voted in January to continue to maintain a volunteer fire department and pursue an agreement to lease space in a yet-to-be-built station in Farmingdale. Hallowell resident and Augusta city attorney Stephen Langsdorf then circulated a petition that forced the council to either nullify its decision or put the question to the voters in a special election. Once the anonymous donor came forward, the council decided to save the Hallowell Fire Department and build a new station at Stevens Commons. The station is expected to be finished by April. 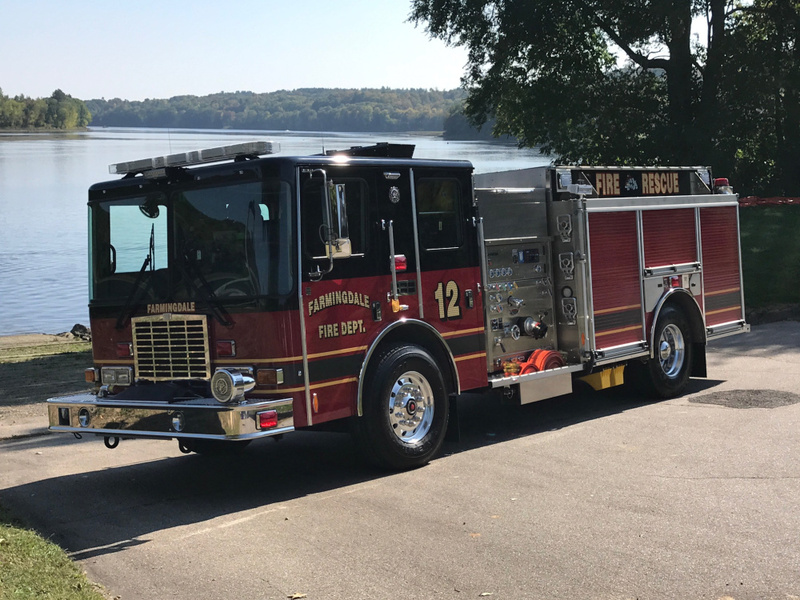 Last year, residents in Farmingdale approved the purchase of a new firetruck for up to $300,000. Kilgore said the fire department took possession of the truck a few weeks ago and said it came out “really nice.” The truck it replaced was 25 years old, and Kilgore hopes this one is in service for at least the same amount of time. Fire Chief Dana Mealey and several firefighters did not respond to a request for comment. In June, the chief said anybody who stops by the department’s station can see how bad it is. He said he thinks the town can get a new station built for less than $1 million, depending on the amenities and size of the structure. “I’ve been in town 40 years, and believe me, I want to do it as cheaply as we can do it,” he said at June’s Town Meeting. Selectman James Grant said in June that he wants to keep the cost of the new station under $1 million so that Farmingdale’s taxes won’t increase too much. He said he still thinks the town won’t need to spend all the money voters approved in June, which should alleviate the concerns residents have expressed to the select board about their taxes. Farmingdale is one of several central Maine municipalities who have invested money into fire protection services. Augusta opened a new $4.3 million fire station on Leighton Road in North Augusta in June and is spending about $6 million on renovations and expansion of its Hartford Fire Station headquarters. Winthrop is building a new $1.8 million station on U.S. Route 202, and there is a $350,000 station near completion on Route 194 in East Pittston.